You can do IT is a regular feature of laterlife.com aimed at trying to help laterlife visitors make the most of Information Technology on or off the web. 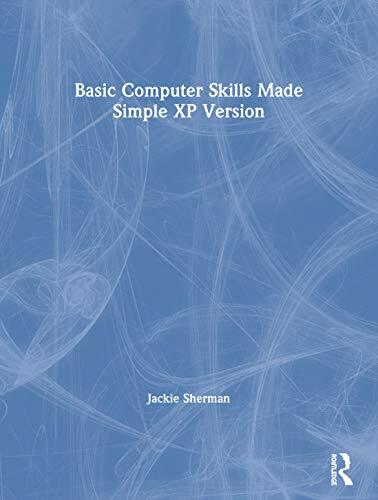 Jackie Sherman who runs the You can do IT Question & Answer section is an IT trainer and author. Jackie has spent her career in education and specialises in teaching IT to adults. Her courses for adults include such topics as MS Office, the Internet, e-mail and basic web page authoring. Jackie has also written the two books shown here - you can find more details about these by clicking on the cover images above. Jackie has also been running a course specifically for over 50s. Via laterlife.com Jackie aims to particularly help those new to IT and the web to build up knowledge and confidence, so no question is too basic. At the same time she will cover Q&As for the more experienced user. Q: I want to lose weight, and have been told that it is best to use my BMI (body mass index) as a measure of progress. Can you show me how I could use my computer to work out the figure and keep it updated as a diet? A: Spreadsheets such as Excel are excellent for doing complicated sums and monitoring changes, as long as you can provide the correct formulae. Instead of relying on actual weight, you can keep track of your healthy weight by working out your BMI. Example: if you weigh 10st 2 lbs, as there are 14lbs in 1st, your total weight in lbs is (10 x 14) + 2 = 142lbs. Divide by 2.2 and this becomes 64.5kg. Express your current heightin metres. If you measure this in inches, you must multiply the figure by 0.025. Example: if you are 5ft 5”, there are 12” in 1ft and so your heightis (5 x 12) + 5 = 65”. Multiply by 0.025 and this becomes 1.6m. As you lose weight, change the figures in cells A3 and B3 and the final BMI will instantly change. Click on a book or magazine image above or below to see full details. For a wealth of books on the web and IT generally, visit Amazon and under the books section select Computers and Internet.